There’s a huge variety of different precious and semi-precious stones across the state of Colorado, and two of the most sought after are topaz and rhodochrosite. These gems occupy pretty much opposite ends of the spectrum when it comes to their experience with humans, topaz having been recognized as a precious gem for almost all of human history while rhodochrosite was quite often discarded during the process of silver mining until modern times. Colorado’s Rocky Mountains hide rich crystal and mineral deposits. There are many places to search for a variety of minerals in the state. It comes in a wide variety of colors, however, and many find it to be an attractive stone. It also makes some of the larger stones more affordable to the general public so there’s definitely a market for it. Fine quality topaz specimens are easily sold at various rock shows throughout the country and are highly desirable. Most of the topaz in Colorado comes from the Pike’s Peak area, a place that first made its mark as a rich gold mining region. Unlike a lot of other areas, here prospectors will often go through the gravel of stream beds in order to collect individual crystals rather than larger pieces. The surfaces will often be a bit marred by erosion from the gravel, but they generally haven’t traveled far and it can be a good indicator there’s more of the stones around. 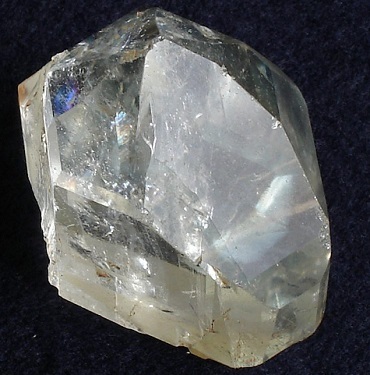 Topaz are a popular crystal found in Colorado. They naturally form in a wide variety of different colors. Other areas of interest to rockhounds in Colorado include Cameron Cone, Devil’s Head, and Badger Flats. Those interested in doing the research will find that there’s a huge number of areas to take a look around in, with the colors and quality varying a little bit between each area due to the unique geological histories associated with them. It’s definitely still worth a shot to poke around in a few of these areas, especially if you’re looking for specimen rocks as opposed to jewelry worthy stones. The latter are rare, but there’s always the chance of finding something truly valuable, but the value of a collected rock is definitely up to the newfound owner as opposed to the market. The thrill of the hunt is what it’s all about, and topaz is one of those gems in Colorado that is a real treasure to find. Also Read: Public Gold Mine Tours in Colorado – Underground Adventures! 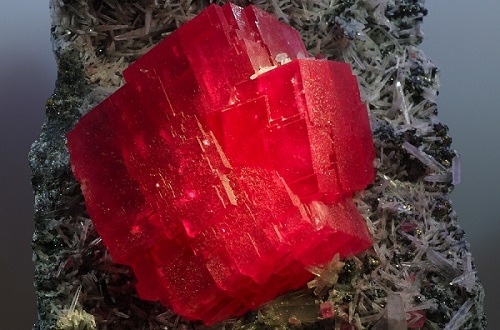 Rhodochrosite has a bit of an odd history. It’s a manganese-based mineral which has often been discarded where it occurs due to the chemical nature which has a nice way of screwing things up during silver ore processing. There are two main varieties of this beautiful mineral, the “banded” type which is more common and features concentric bands of varying shades of crimson, pink, and white. There is also the “gem-quality” crystals which form as deep red formations which are definitely worthy of being cut and landed in jewelry. The Sweet Home Mine is home to the finest of the latter type in the world and was a large factor in Colorado naming rhodochrosite as their state mineral. Most of the truly great specimens representing this rock come from the mine, and specimens have made their way all across the world. Unfortunately, this mine closed down in 2004 and even the previous dumps from when it operated as a silver mine in its infancy have been reclaimed so it’s not a suitable area for collectors. Rhodochrosite is one of Colorado’s most valuable minerals. Once discarded by early silver miners in the state, it has become one of the most sought after minerals in Colorado. Most of the claims for this mineral are owned privately, so it’s up to the individual rockhound to find places that will let them in to take a look. You might be surprised at what you can find if you talk to people, rather than simply relying on “dig-for-fee” areas. If you are trying to find potential areas to look for rhodochrosite and other gems in Colorado, be especially aware of old silver mine dumps. There’s still a bunch of crystals waiting to be found at these old mine dumps. Rhodochrosite is a beautiful mineral and also one of the most commercially valuable gems in Colorado, and owning a good piece is probably on the list of every rock collector who knows of its existence. Finding your own can only add personal value to the stone, and it turns out that if you’re US-based you won’t have to take a flight to Argentina to find it. A trip to Colorado might just do the trick. Topaz and rhodochrosite only make up a small part of the absolutely bewildering array of different minerals and crystals which inhabit Colorado. Other minerals such as amethyst, smoky quartz, sapphire, amazonite, opals, jaspers, and a wide variety of collectable minerals are also found throughout the state. While there’s not a lot of areas open to the public, the determined amateur prospector will undoubtedly be able to find somewhere to go with enough research and persistence. Colorado has a good amount of public lands that are open to exploration, and you can still go out and find valuable minerals. There’s definitely treasures out there, just waiting to be unearthed.